Gazpacho Andaluz, the third of 2014's seasons by the Renaissance players was held over the October long weekend, in the Great Hall at Sydney University. “Virtuosic playing, historical perspective, clever music making and singing of the first order. 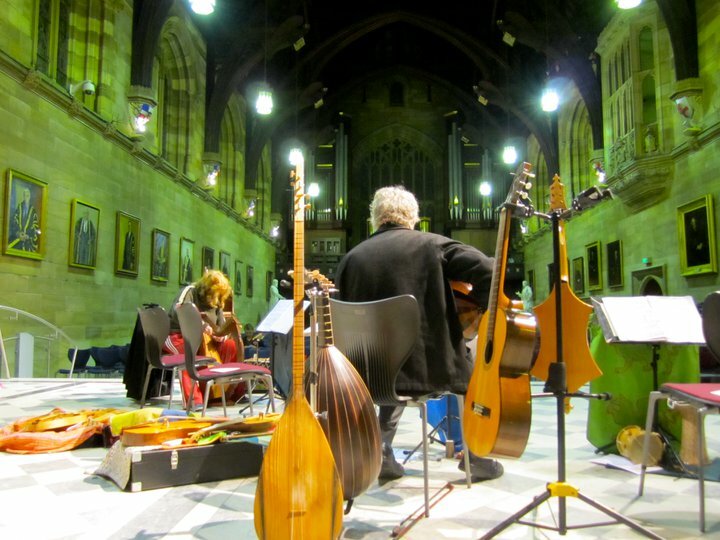 The Renaissance Players (directed by Prof Winsome Evans OAM) is Australia's oldest early music group, based at the University of Sydney and performing continuously since 1967. 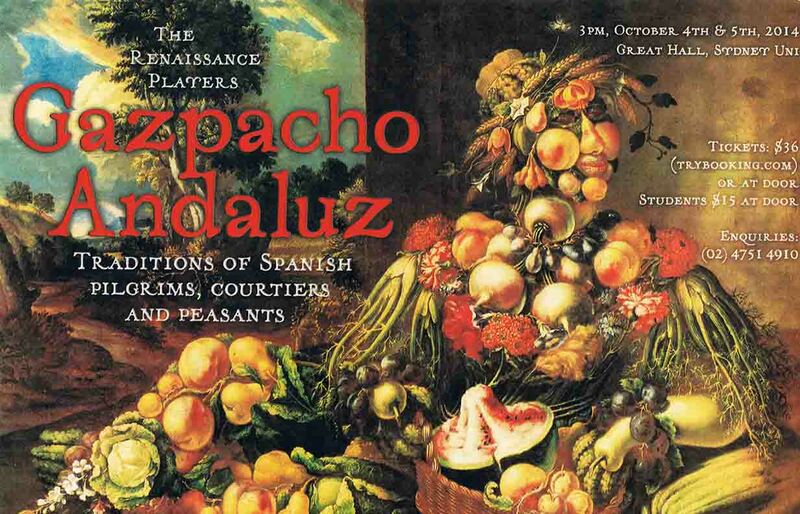 Gaspacho Andaluz featured colourful costumes, exotic early instruments, brilliant musicians and soaring voices - plus poetic romance and humour. This musical gazpacho encompassed the colours of the performing traditions from the medieval court of Alfonso the Wise and from the famous pilgrim routes to Santiago de Compostela as well as the Catalonian Benedictine monastery at Montserrat. These were mixed together with popular songs and dances from the Renaissance courts of Isabella and Ferdinand, featuring the 15th and 16th century jazz-like improvisations in dances and in all other forms of secular vocal and instrumental music. The readings extended the range of flavours to include Muslim and Christian poetry from the 13th to the early 20th century. The concert featured multi-instrumentalists Winsome Evans, Llew Kiek, James Wannan, Cyrus Meurant, Kirsty Vickers and Tony Lewis, singers Jessica O’Donoghue and Mitchell Riley as well as poetry reader Geoff Sirmai. Among the exotic authentic early instruments were vielle, rebec, harp, psaltery, baglama, ud, gittern, mandora, large and small guitars, baroque violin, viola and cello, shawms, duct flute, douzaine, whistle, bells, sinfonye, daireh, tapan, darabukka, tambourine and zils. The concert coincided with two more of the group’s latest CD releases on the Tall Poppies label, albums 4 and 5 in the series of Cantigas de Santa Maria. This follows the 2-CD album Pilgrimage to Montserrat (June) and the re-mastered Memories of English Minstrelsy (March). Together they add to the Players’ impressive 25-plus internationally acclaimed recordings.